Employee scheduler software is used to automate overall complicated time taking task of employees scheduling or planning. Employee planner software easily maintains shift records, in or out time, tour and training details and salary information of employees. Employee management software is beneficial for company managers for managing all company details, employees’ information including leaves details, payroll information, meetings details, attendance and time details etc. Staff planning software provides brilliant solution to integrate all business process and helps you to increase revenue and sales of the company by automating manual employees planning process. Expertise staff scheduling program has ability to handle multiple company details at the one place. » Relieves you of the daily pressure of managing and creating company employees schedules. » Ability to handle employees’ records and salary information details of the several companies at the same place. » Maintains day to day attendance details of the company staff like present, absent, late, holiday and overtime etc. » Maintains tour and training information of your company employees. » Advanced employees scheduling tool tracks and maintains employees’ leaves details like types of leaves including causal leave and paid leave of the employees. » Manages salary details of the company staff according to company standards. 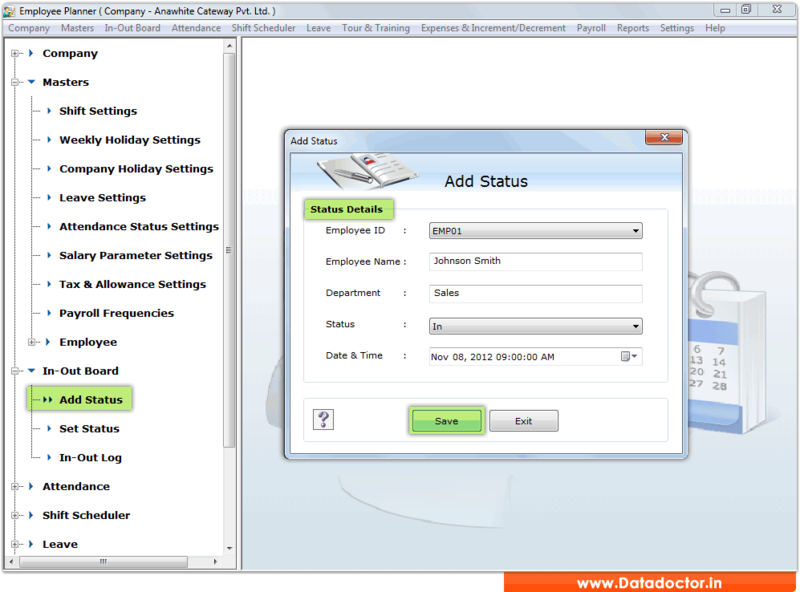 » Software keep tracks in or out details of your company employees that show who is in or who is our during office hour. » Helps you to manage employee each day shift records without any scheduling conflict. » Provides facility to maintain entire increment and expense records provided by the company to the staff.